“Inspired by true events” isn’t a label a lot of fans take seriously, especially when it comes to horror films about demonic possession by ancient Hebrew spirits. ‘The Possession’, in cinemas nationwide today, is that film and yes, it does carry that label. But it’s not entirely inaccurate. Sam Raimi, the maestro behind such horrifying films as ‘Drag Me To Hell’, ‘Evil Dead’ and ‘Spider-Man 3’ set about getting ‘The Possession’ up and running after reading an article in the Los Angeles Times about a family’s fight against a demon from Yiddish folklore known as Dibbuk. “My partner and I read the article entitled 'A jinx in a box?' 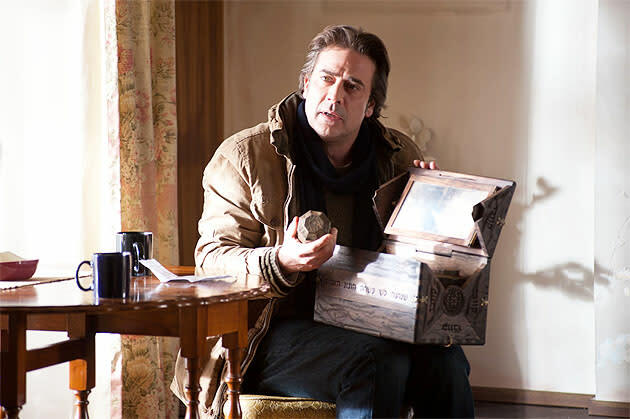 by Leslie Gornstein about this Dibbuk box that brought horror to anyone in possession of it,” Raimi told Reuters. “Then I researched more online and thought that this could be a great script. There were so many stories of different people and their experiences. We decided to focus on one family that encountered the box." There was even creepiness on set. Director Ole Bornedal described a switched-off neon light exploding above his head and their storage building in Vancouver burning down without a cause being found by local firemen. “I'm not a superstitious man,” he said, “And I would like to say, 'Yeah, it's just a coincidence.'" Dibbuk is said to possess people with the intention of devouring them from within. In the film it enters an adolescent girl and well, as anyone who has seen the trailer (watch it below) will know, the evil within is more literal than you might expect. ‘The Possession’ isn’t the first film to be inspired by real life accounts of spooky happenings, ‘The Exorcist’ famously worked because it tapped into a real life occurrence that has been practised by numerous religions for decades. William Peter Blatty based his original novel ‘The Exorcist’ on the specific exorcism of Roland Doe (a pseudonym), which then became the subject of the horror classic. Doe was a young boy growing up in Maryland, during the 40s who allegedly became the subject of unexplainable events, such as furniture moving on its own accord, shortly after the death of his aunt. The strange occurrences were documented in forms signed by nine priests and thirty-nine other witnesses, which led to the exorcism, where things only got stranger. The boy inflicted a wound upon the attending pastor and began speaking in a low, glottal voice. When taken to a hospital it is said words such as “evil” and “hell” began appearing on the teenager’s body. Exorcism rituals were performed thirty times over several weeks before the trouble stopped, with witnesses reporting loud noises going off throughout the hospital as it happened. Another famous exorcism was that of Anneliese Michel, whose traumatic experience with the supernatural became the subject of ‘The Exorcism of Emily Rose’. Born in West Germany to a strict Catholic family, she was diagnosed with epilepsy aged 16 and began to hallucinate while praying shortly afterwards. Aged 22 she started suffering from depression and began hearing voices telling her she was “damned” and would “rot in hell”. Frustrated by medical interference and the lack of progress it had on her condition, Anneliese turned to the church to battle what she had convinced herself due to her strong religious beliefs was demonic possession. Two years after it started an exorcism took place courtesy of Bishop Josef Stangl. As the rites of exorcism were performed over a period of time Anneliese refused to eat or drink, leading to her death in 1976. Later that year the priests conducting the exorcism, Fathers Ernst Alt and Arnold Renz were charged with neglectful homicide and sentenced to six months in jail (later suspended) and three years of probation. In 2011 ‘The Rite’ - a horror following an American seminary student travelling to Italy to take an exorcism course - hit cinemas. The real life inspiration comes in the form of Father Gary Thomas, one of few Vatican-certified exorcists working in the United States. His 40 hour study at the Vatican was documented by journalist Matt Baglio, who wrote the book later turned into the film. "I believe in the personification of evil," Thomas told the LA Times back in early 2011. "I have exorcised five [people]. There are probably another two or three or four who I have been praying over regularly." "There is a point [in the film] with Anthony Hopkins, you see his head look very unnatural in the way it is turning. That's very normal. When you pray you hurt the demon, and the demon oftentimes will manifest itself in a very serpentine way." 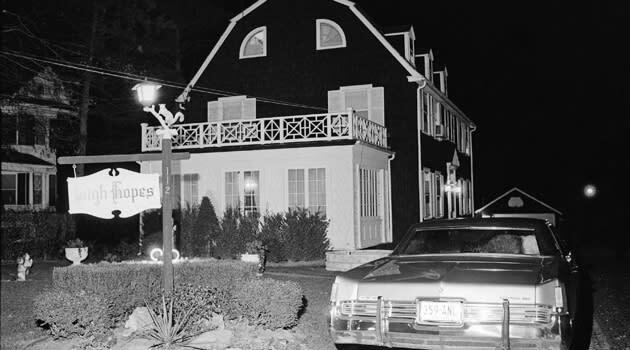 ‘The Amityville Horror’ is perhaps the most famous inspiration for a big screen scare-fest. This time a whole house was possessed. The book is written by Jay Anson and claims to be a true story, the extent to which is still controversial since its release in 1977. It concerns the Lutz’s - George, Kathy and their three children - who moved into 112 Ocean Avenue in 1975. A year prior to them moving in Ronald DeFeo Jr. murdered six members of his family in the house. The Lutz family moved out after 28 days claiming to be traumatised by the paranormal events they endured. Phenomena described in the book include constant, unseasonable swarms of flies in the house, a small red-painted room not in the house’s blueprints that terrified the family dog, Kathy receiving red welts on her chest, levitating two feet off her bed and George seeing his wife transform into a 90-year-old woman before his eyes. Most creepily, their daughter developed an imaginary friend called Jodie, believed to be a demonic pig-like creature with red eyes. Kathy is said to have seen red glowing eyes stare back at her when told by her daughter that Jodie had climbed out a window. One morning hoofprints appeared in the snow outside the house that were attributed to an enormous pig. We’re terrified just writing about it. ‘The Possession’ is out now.